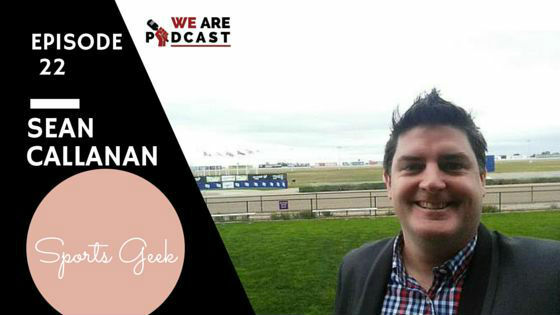 Sean calls himself on SeanCallanan.com as a Sports Geek, Bloke, Father, and Podcaster. He discovered the podcasting bug with his Sports Geek Podcast, a top positioning sports podcast on iTunes and Stitcher. He founded Beers, Blokes & Business podcast which is currently #1 Business podcast in Australia. He has a successful side project called the Super Awesome Micro Project, which he used as a patron and drove the digital and social initiatives with the project that garnered major media attention from Mashable, Wired, NBC & BBC as well as over 4 million YouTube views in under 1 month. How has your industry changed since you started? What are the most important things to consider when you podcast? It’s a bit of a mix of business and pleasure and sports. I’m a sports fan so I still listen to a bunch of sports podcast.